Shapetizer works with excellent designers, artists, and makers, who create high quality 3D printing designs and projects for people all over the world. We take every effort to encourage general public use their imaginations and make their own things. Elaborate 3D printable designs, fun projects stimulate your appetite for making. Micro-pay avoids you missing any chance to print your favorite design on your own 3D printer. Streaming print and familiar know-how workflow keep your printing experience convenient. An open community enable you show your own makings and exchange ideas. Present your designs to get view-counts and distribution. Earn money under distribution control in hand via streaming print without worrying about intellectual property violation. Share your ideas, and easy-to-follow instructions for your work processing, painting, assembling and even engineering with your audience. Get closer to makers and 3D printing enthusiasts all over the world, learn about new products and get fresh inspiration from various groups of people in our community. Part 2 How to upload and publish 3D designs on Shapetizer? What are the requirements for the uploaded designs? As specified in our Terms & Conditions, we expect that the creator of a 3D design owns the copyrights to the content. Therefore, you can only upload your own work or work that is permitted by a Creative Commons license. Please do not infringe other people's intellectual property rights. How to upload and publish your designs? Upload the .stl files of your designs-You can upload one or multiple files, or drag to the area. Model must reprensent a physical object that is printable. All the uploaded files will be stored on the cloud, and be streamed directly to users’ printers. Thus, users have no way to obtain your resource files. Upload a picture of finished print-You can upload one picture of finished print. To make your design looks more attractive and informative, a good looking picture of the finished work is necessary. Add design name and detailed descriptions of your design-Design name is necessary. Besides, you can add detailed descriptions, the story of your creativity and your personal suggestions for printing, etc. to leave a positive impression. After a model is printed out, the following process of coloring, painting, assembling, among many others, may also bring a lot of fun. So, if any staff have been used in your design, please list them here as suggestions for other makers, though it’s not necessary. Save and next-You can save the unpublished design as draft, again, a proper title is necessary. Draft could be found in Dashboard-UPLOADS. Go on edit and publish it by clicking the edit botton. You can save at most three drafts, and delete any of them at anytime. Price your design-You have the right to price your design. 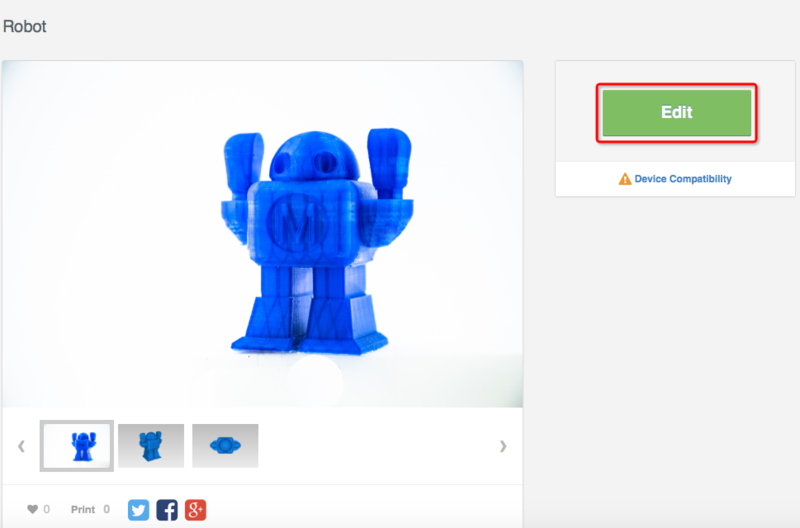 You can choose one distribution mode between streaming printing and stl downloading. After you publish your design, you can still switch between the two models. Streaming printing: Allow buyers to print directly from the website within two weeks or longer, grant printing right only, effectively protecting your copyright. From the purchase of your design, you will get 70% of the price as your earning. Our list of best-selling designs may be a reference for you to set a proper price. The price of your design can be adjusted after publish. STL Free Downloading: We trade the printing right to users, therefore, it can only be free if you choose to allow downloading your .stl files. If you choose to do so, your copyright will not be under our technological protection, thus you might suffer copyright infringement and economic losses. How to edit your deigns? Find your designs in Dashboard-UPLOADS, and edit whichever you want. Click the edit botton on the page of your design. To make your design more compelling, we encourage you to keep modifying and updating. We suggest that you keep a log of your every modification so that other users would see your progress and be interested. Although the price of your design is changeable, too frequent change may cause confusion and unpleasant of users. For the design which is in streaming printing mode, if you want to change from one price (non-free) to another (or set it for free), the first price change can be conducted at any time. Second time or more price change is only available after a week. Your design will be relisted on the top of New Arrivals immediately after edited (excluding price change only). The popularity and sales of your design will be influenced by the quality and personal tastes. However, there are certain aspects that can help you attract more users and increase sales. Please make sure that all your uploaded files are printable. If users fail in printing, thereby request a refund due to the problem of your model file, your revenue of this design will be deducted after our verification. Upload the content of your design as comprehensive as possible. In addition to the .stl file, a high quality picture of the finished print, an impressive caption and detailed descriptions will attract attentions. Users who are following you can leave comments and questions on the page of your design. Your timely feedback is a key to promote your work and maintain a good relationship with them. Users are glad to see the improvement of your work, such as modifying the design file, updating product pictures and descriptions, etc. Set a reasonable price for your design, and change as less as possible. The copyright of the uploaded design is not yours, or the design is not available through a Creative Commons license, that means your uploaded design may infringe on the rights of others. Your published content contains abusive, harassing, threatening, defamatory, obscene, fraudulent, deceptive, misleading, offensive, pornographic, illegal or unlawful information. Multiple refunds resulted from the problem of your model file. If the removal of your design is caused by any of the above reasons, we will inform you through messages. Yet, you can apply for relisting your design after necessary modifications. 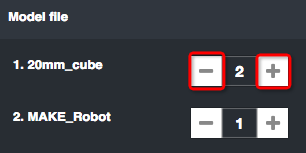 Find your stopped design in Dashboard-UPLOADS, and click the Apply for Relist botton to modify. Part 3 How to buy and print? Shapetizer features numerous 3D printable designs with moderate price, as well as free ones for streaming printing or stl downloading. 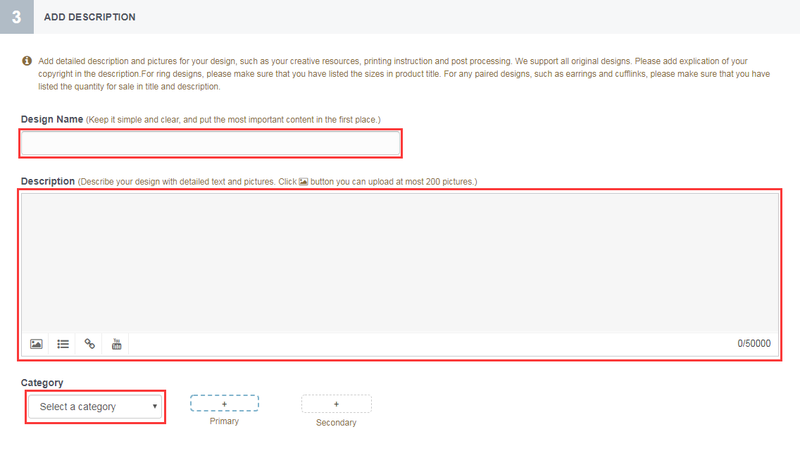 Please note here, designer holds the right to modify the model file, description and the price of the design. After successfully purchase a design, the buyer owns the printing right of the sold version within limited time. 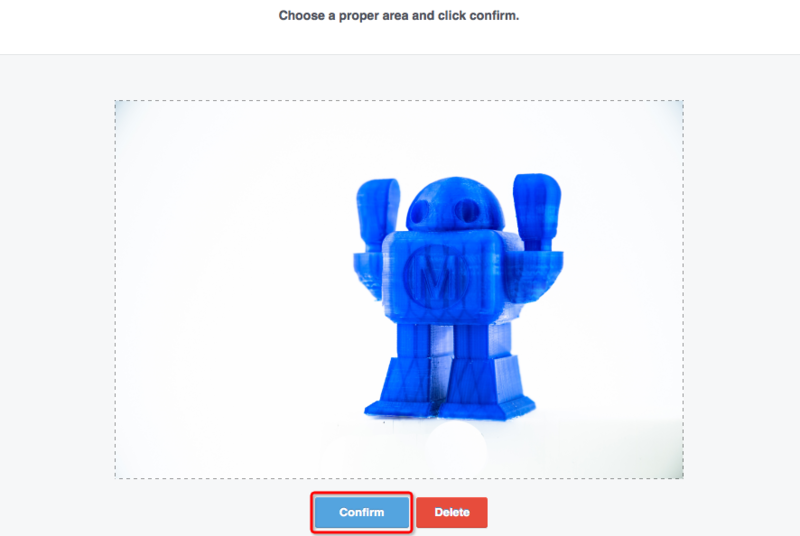 Shapetizer provides online 3D printing service. 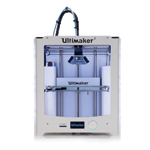 To use our service, you should, first of all, have the accessibility to a desktop 3D printer. However, not all types of printers can be connected successfully with Shapetizer. Check out the compatibility of your printer according to the chart below. Also, try our printing sample to test. We cannot be 100% sure about the compatibility of other operating systems and browsers. Safari—>Preferences, on the Advanced tab, ensure that the "Show Develop menu in menu bar" checkbox has been checked. Enable WebGL menu option in Develop menu. Please make sure you have installed our printing control software before you get started. On model placement page, click Download .sz, there will be a pop-up window indicating download our software, or you can find the download button on the right side of home page and New Arrival page. If you are using a new printer, please make sure you have installed the driver of your printer. The driver could be found in the official site. We offer a free printing sample for testing the availability of our service. Please make sure your computer operating system and browser meet our requirements, and install our software properly. The buyer owns the printing right of the sold version within a limited time, which is determined by the quantity of the model files, the complexity of the design, etc. This valid period is often two weeks or longer. To protect designer's copyright, we provide services of cloud-slicing and streaming. During your printing process, please do not disconnect your computer from the network before you successfully receive the encrypted file. How to buy and print ? 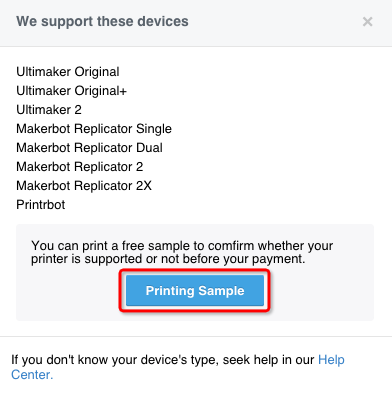 Device Compatibility-Please make sure your 3D printer is on our compatible devices list, and try our printing sample to test before your purchase. Check out-Click the price button to enter the checkout page, here you can see the design version you buy and the valid period for printing. Within the valid time, your purchased design will not change by any update. Promotional code-Enter the promotional code and click Apply to redeem. Total is the total amount you pay for this order. Choose payment method-You can choose to proceed your payment with credit card or your PayPal account. Purchase success-Webpage will be redirected to the design page after successfully purchase. Start your printing now! Click “Print” to get into a printing interface. Find designs to be printed-You can find designs you've purchased and printed in Dashboard-Prints tab. Please be aware of the valid printing time of the design, within which you can print via Shapetizer's printing services. Choose Your Printer Type-Each type of printer needs specific setting. So, choose the right type on the menu. Model file-The list shows all the model files contained in the design. Click "+" or "-" to adjust quantity of the models. The area of platform varies with different printers. Due to the area of platform and the size of model, not all models are printable. You can tell from the color of the model files. Blue represents printable, red means model is beyond the area, and green indicates there is overlap of two models. Printing process will not start if color red or green exists. In order to protect the copyright of model files, we intentionally reduce the resolution of the models as you load them on the platform. What you see on the platform is not the final effect of the print. The view is just for adjusting the angle and size, while the actual print will maintain the original resolution of the model file. So don’t worry, the low resolution as you see on this interface will not affect your printing result. You may enter this page multiple times within valid printing period. Hierarchy-Models on the plate are listed here, click the name in Hierarchy or click on plate to select the model. Viewport-Viewport gives the option to quick over view about the model. Hold and move the mouse to zoom and rotate the viewpoint around. Boundingbox-Boundingbox shows the size of the object. Transforms-In Transforms, you can move, rotate and scale the objects. Move-Click “+” and “-” to move the model over X or Y axis. All models are well attached to the plate by default. Also, you can click to drad and drop the model on the plate. Rotate-Click the object and rotate it over XYZ axis. Click “Re” to reset the placing angle. Scale-Click “+” and “-” to scale the model by proportion. Auto layout-Auto layout gives the best results as it automatically makes the object ready for you. Printing settings-Choose between quick settings and advanced settings. 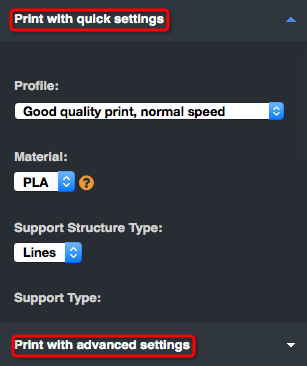 Print with quick settings: this is basic parameter settings, including three different print profiles of printing quality and speed. 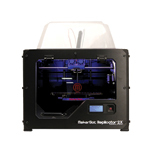 After choosing a filament, print temperature and bed temperature are automatically adjusted. Default settings are determined by the types of filaments. Print with advanced settings: More options available in the advanced settings. Reset setting-Reset all the parameters to default setups and select Print with quick settings. Download .sz file-Download the .sz file which contains the data of the model placement and print settings. Open .sz file via SZ Assistant. 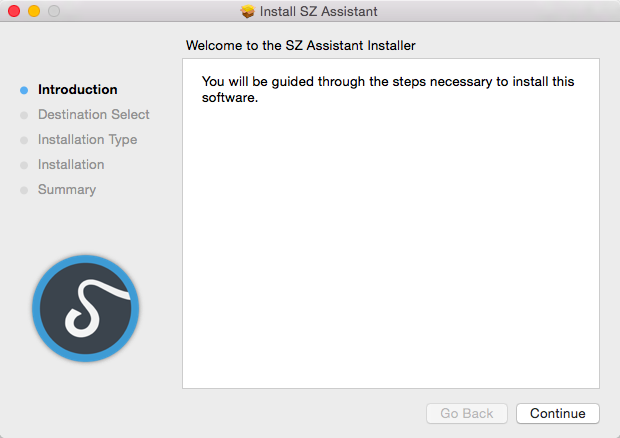 If you are a first time user, make sure you download and install SZ Assistant software. Click Go to Slice to upload the data of model placement and print settings, .sz file will be downloaded after cloud-slicing. .sz file is binding with your printer’s ID, its valid time is 8 hours. 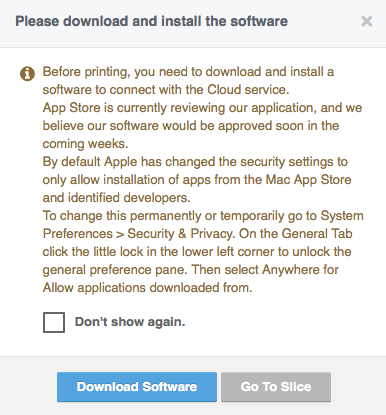 If expires, you need to re-download the .sz file. .sz file can be printed multiple times within 8 hours. 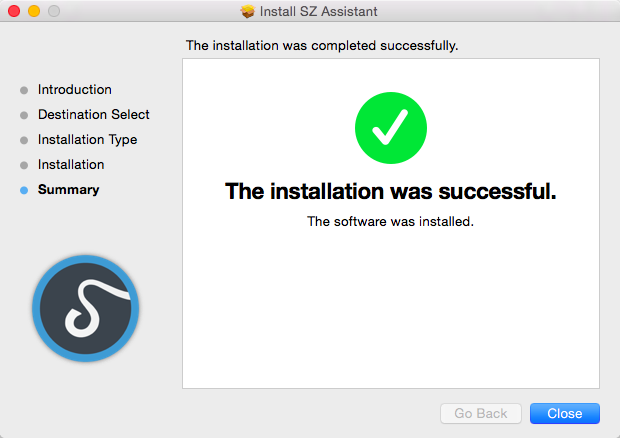 Install SZ Assistant which is used to open .sz file, download and transmit Gcode, monitor the printing status such as process, temperature. 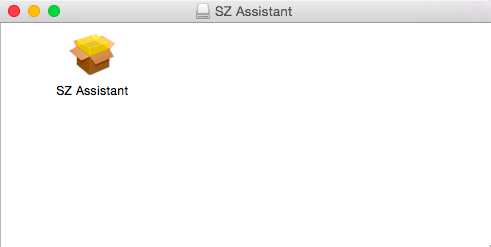 SZ Assistant is available under windows and mac system. By default Apple has changed the security settings to only allow installation of apps from the Mac App Store and identified developers.To change this permanently or temporarily go to System Preferences > Security & Privacy. On the General Tab click the little lock in the lower left corner to unlock the general preference pane. Then select Anywhere for Allow applications downloaded from. Print-Please keep your printer on and make sure it is connected to your computer. During the printing process, keep the connection between computer and printer, keep your computer’s power on, and do not put your computer into hibernation mode during printing. Double click the .sz file, or double click the icon of SZ Assistant, and click Add file to add .sz file. Download slicing file. This file is encrypted, and will not be saved in your computer after printing is completed. Network connection is not necessary after downloading the slicing file. Initialize your printer and heat up. Printing-Do not exit the printing software before it’s finished, otherwise printing process will stop. WE PROMISE to be your trusted partner for 3D printing technology by delivering service and connivence you deserve. If you are not fully satisfied with your purchase, let us help you with a refund. You can request a refund in “Purchases” within 24 hours of purchasing. After reviewing your case, we will give your feedback in the “Messages” within 48 hours. You purchase a model that cannot be printed properly. You have trouble in printing a model due to the problem of website services. If your refund request fulfils one of these two conditions above, we will notify you in 48 hours and will authorize your refund within five business days. If your refund request does not fulfils any conditions above, you can submit a petition to recheck your refund request by replying the feedback message within 48 hours. You may communicate with us multiple times in “Messages” during the time period. If we decide to authorize your refund, you will be receiving a message of refund processing within 48 hours. Then we will give you the refund within five business days. 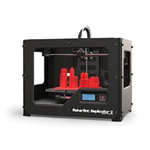 You have used our service to print a model without any error occurred during printing. Personal reasons, such as changing personal preferences. Printing failure caused by problems of your printer. If you need assistance with printing process, please click on “?” on the bottom right of the printing interface. For more information, you may check our help center and leave your questions at the bottom of that page. Before uploading your design at first time, we suggest you provide your PayPal account first. Or go to the setting page to complete the information later. The state of your PayPal account shows as “verified” after verification. As a designer, you own the right to price your designs. For your reference, we would provide a list of recent sales. The price of your design is up to you, but improper pricing would cause negative impressions on you, for example, you offer a too much high price in the first place, resulting in no purchase at all, and reduce your price sharply or frequently. Although the price of your design is changeable, too frequent change may cause confusion and unpleasant of your buyers. So, you can freely change your price after you set it for the first time, but after that, your price can only be changed once every 7 days. Designer 70% of design price Design and publish 3D printable models; Set and change the price. Shapetizer 30% of design price Provide a platform for publishing 3D printable works; provide 3D printing service while protect designer’s copyrights; promote designer’s works; collect revenue and pay to designer on a monthly basis. Users may apply for refund of what they purchased. Click here to see refund policies for buyers. If refund is caused by designer (such as errors of the design file), we will cover the handling fee (refund paid via PayPal causes handling fee) for the first time, but the following refund handling fees caused by same reason will be subtracted from your total earnings. 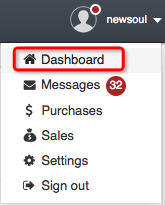 Dashboard push messages-Most social updates will be pushed on your dashboard, e.g. updates from the designers you follow, new comments on the design you like, etc. 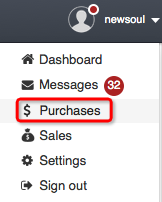 Messages-Information about deals and payments will be sent to you through this channel, e.g. messages of trade success, design remove, etc. Emails-To make sure you receive your deal information promptly, we will send emails to you as well. If you have any questions about these terms, please submit here.